I was looking at this answer and I didn't realize that Minecraft had some Easter eggs in it. Besides the Christmas chest Easter egg, and the sheep Easter egg, what else is there? Halloween - on October 31st, some mobs will have pumpkins on their heads, and may drop a pumpkin if killed. If the file with the list of splash text lines (the yellow text on the main menu) is deleted, it will display as 'missingno' which is a reference to the infamous glitch in the early Pokémon games. 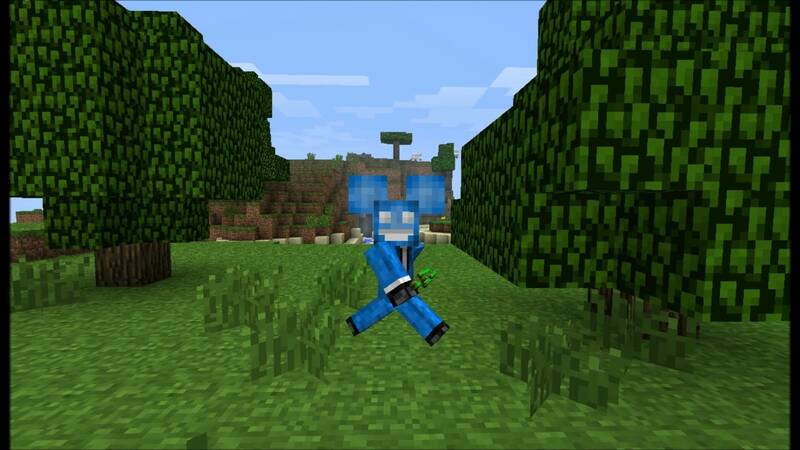 Also Deadmau5 has his trademark ears in game. They are visible to everyone and in the vinilla client. The texture for zombie pigmen, in the actual texture file, contains a call out to the original artist. Making your first cake gets you the achievement "The Cake is a Lie" and popular meme in reference to Portal by Valve. Getting an achievement displays "Achievement Get" which is a reference to Super Mario Sunshine for the Nintendo GameCube. While fishing you will occasionally pull up leather boots, which is a reference to Zelda game. 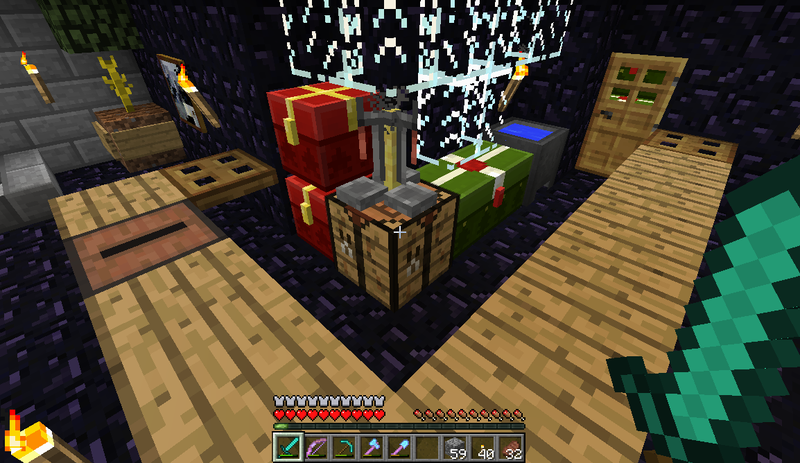 *After they changed the enchantment system to include tool-tips, I do not know if the text is still translatable. 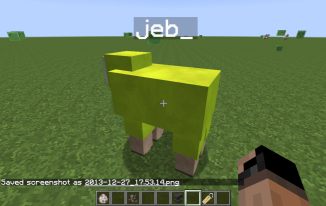 As mentioned in the question, if you use a nametag to rename a sheep to jeb_ (the underscore is required) the sheep will constantly shift hue (also known as "rainbow sheep" or "disco sheep"). Also, when you go into the languages, you have there three joke ones: Pirate Speak, Lolcat, and ɥsᴉlƃuƎ (ʞ∩). 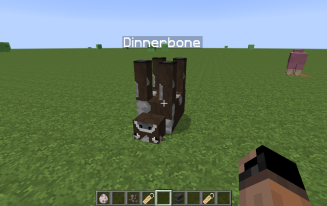 What is the difference between vanilla Minecraft and FTB? 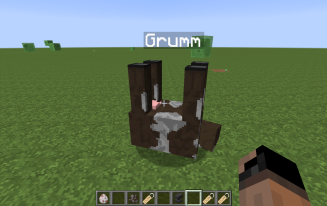 Are the spawn eggs in the Minecraft creative inventory sorted by some rule?